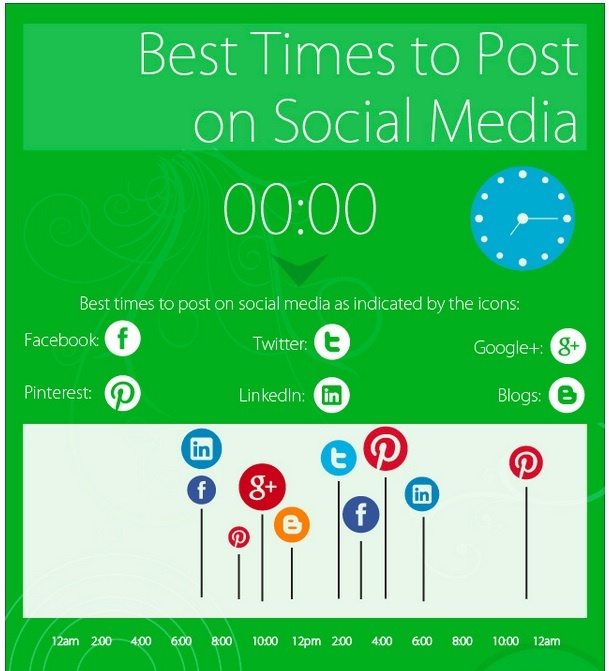 Home Blogs Timing and co-ordinating social media activities: Is it worth it? 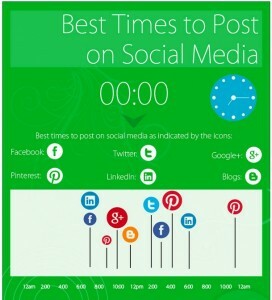 Recently, I’ve noticed some infographics suggesting best and worst times to post on social media. This is one. Tied in with this are fee-based social media management tools and services that indicate they can help you time and co-ordinate your social media activities. I have mixed feelings about these messages/services. If the objective is to achieve highest results from paid social media advertising, I expect in time the social media services will price their time accordingly — if there’s lots of competition and it is prime time, the ads will be more expensive. If your goal is to win more eyeballs for your “non commercial”, but, er, commercial message, do you think the timing is the main thing, or is it the message’s quality and relevance. Putting a meaningless or uninspiring message out during prime time, in my opinion, would still lead to silence, or at worst, embarrassment. There is something to be said for genuineness in social media. If it is good, and you have a reasonable (but earned) social media network, your message will achieve wider recognition and respect — it might go viral, but that is like trying to seek the magic elixir. So, I think you should take these timing messages with a grain of salt.